From Friday 21 September at 5pm through to 5pm on Saturday 22 September a good few members of the Oakwrights Team spared a little time and energy to raise money for St Michael’s Hospice. 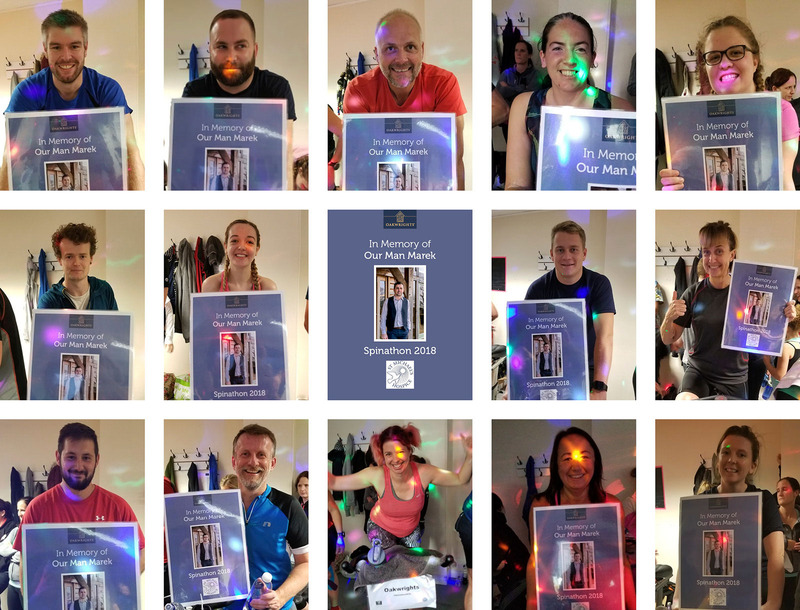 Led and organised by Sara Edwards from our Design Team, 19 colleagues and former colleagues of ‘Our Man’ Marek Hallmann, took part in a 24 hour sponsored spinathon. 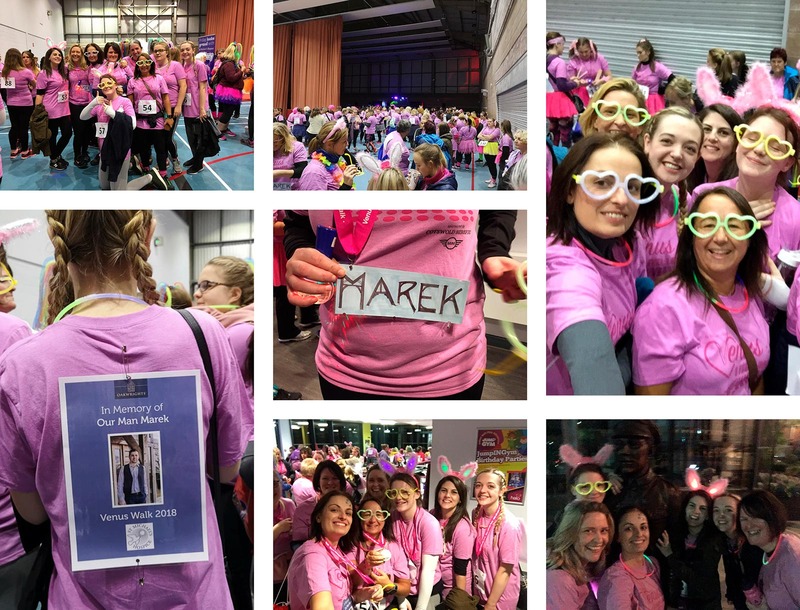 Five ‘Incredibles’ out of this group also managed to join a breakaway Oakwrights Ladies team that took on the 10 kilometre sponsored Venus Walk that began at midnight on the Friday. Many more of the team supported these efforts with their credit and debit cards. Marek Hallmann was a man I knew for almost seven years, from the point where he introduced himself to me on my first day of work at Oakwrights. St Michael’s Hospice is a charity that I have been aware of for over 14 years, since moving to Herefordshire. In July this year, Marek spent the final days of his life being cared for and his family supported at St Michael’s Hospice. If you’re lucky in your life, you may well get a chance to work at something that you are passionate about or have a great interest in. Some of us will work with many people, some of us will work with few. Some of those people become your friends, some you will simply get along with and there is a possibility that you may well dislike some of them, not agree with their views or approach to life, but in the workplace as in general life, you will need to find a way to work together for the greater good. As much as you might enjoy or become frustrated by the work that you do, enjoy or become frustrated by the people that you share your working day with – the work is quite often a means to an end, a means by which you support yourself and your families. Beyond the work itself and the finances that the work generates to support you in whatever economic framework of society you live in, you will spend your time supporting the ones you love. The family, the friends, who for one reason or another make up our individual lives. Regardless of how well we have coped with life or how well we have navigated our way through it or how many family and friends we have around us when we come to the end of it, we are more than likely going to need some support. For the people of Herefordshire and the surrounds, this is where St Michael’s Hospice serves as a vital service for the community. St Michael’s mission ‘is to make sure palliative and end of life care is available to all who can benefit from it, regardless of age, gender, diagnosis, social group or location.’ With government funding only covering 10% of St Michael’s running costs, the rest has got to come from groups, organisations and individuals throughout the community. Marek Hallmann was loved and respected by the people who worked with him and understood his passion and outlook on life, his brutal determination to improve himself and the possibility of the opportunities available to him. And towards the end, when Marek and his family needed the support the most – that is when St Michael’s Hospice was there to provide the services that allowed for a dignified end, to the life of a dignified man. We all need people like Marek in our lives and we all need organisations like St Michael’s Hospice. Oakwrights as a team managed to raise over £1500 this weekend just gone, and we are considering more events for the Winter and Spring, to help St Michael’s continue their vital support to the community. Please do have a think about how you as an individual, group or organisation could contribute to the greater good of the community by raising funds for this wonderful charity. A charity that you, as an individual living and working in the wider community, may well need to call upon one day. Thank you to everyone who donated and supported the team. Donate to this very special cause with the following links.